Welcome to my section about JRR Tolkein. There's so much to say and much said on the subject that I am limiting my pages essentially to some of the amazing Tolkien inspired artwork around on the Web. 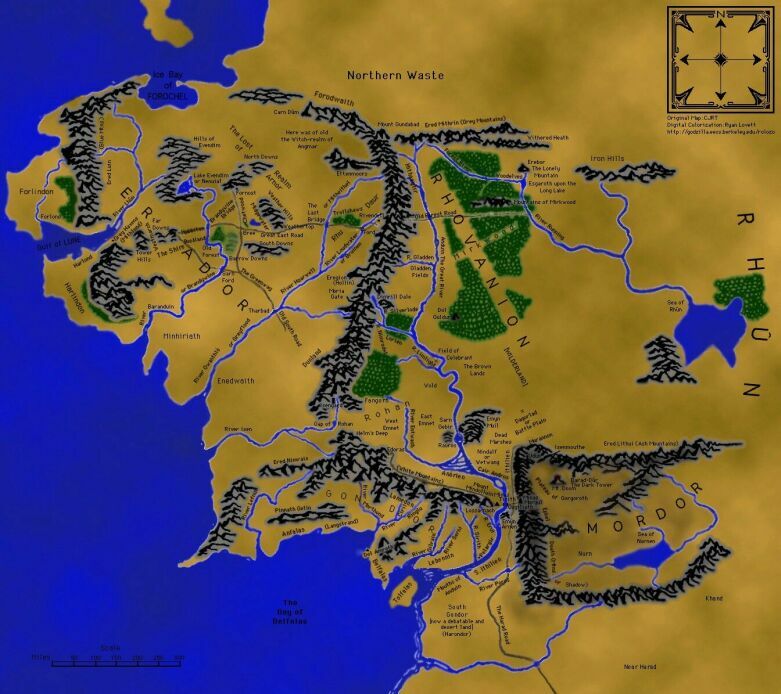 I've included some notes, here and there, but they are mainly developments of topics that intrigued me like the Beor family tree, Aragorn's ancestors, or the case of Glorfindeln, not to mention pages dedicated to Gadadriel, Gandalf and Moria. Oh! by the way. The artwork is for sharing but remember that it does originally belong to someone. 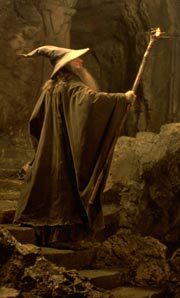 Along with the wealth of graphical work Tolkien's literature inspired there was also the Musical work. 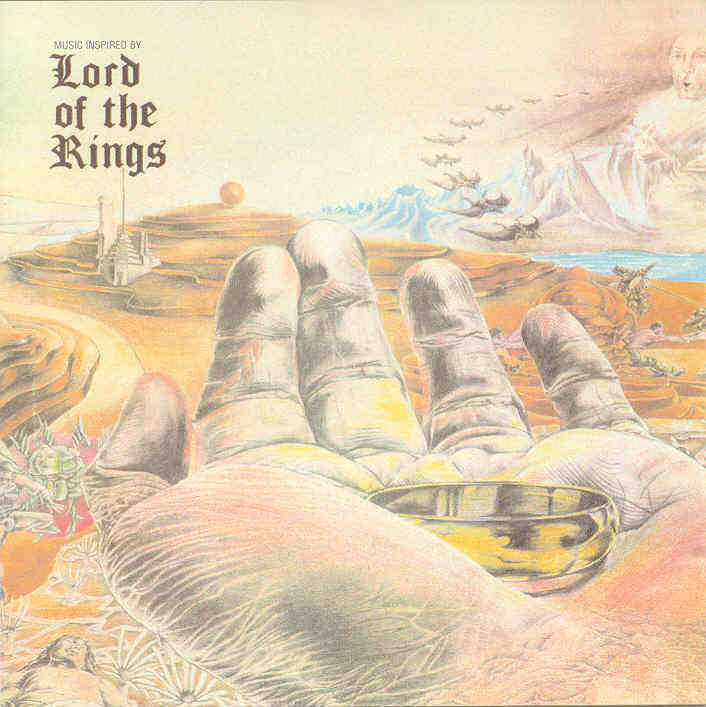 Numerous musicians have been inspired by Tolkien, including Rick Wakeman, but the musical interpretation I prefer is the one done by the Scandinavian Bo Hansson. His album originally came out in 1970 so you can't really say he jumped on bandwagon, as certain did, in the wake of Peter Jackson's trilogy. In 1996, Virgin released the re-mastered version and it was by pure chance (or frustration at not having found the music on Kazaa) that I went looking for it on Amazon and, lo! I found and bought it!!! Bo Hansson's interpretation (no lyrics, only the seagulls of the Gray Havens) of LoTR is, well, his own! You either like it or find that it has nothing, apparently, to do with the book. Knowing the story of the Ring almost backwards I have no issue with this album and find it enjoyable enough to have bought the CD some 30 years after I bought the original LP/33/Vinyl, which I still have but can't listen to because I don't have a turntable on my satanic mini HIFI. The style of Bo Hansson's album reflects different chapters from the Ring book, from leaving the Shire back to the Gray Havens, via the Horns of Rohan and the battle of Pelennor fields. The mood varies from relaxing to urgent and from thoughtful to soaring and I think I can safely recommend it to Tolkien fans objective enough to appreciate Hansson's work.